Yes and quickly, because brrrrr. Duplicated the Thang from last Friday’s Neverland workout: a series of 5 minute sets, with 1 minute of rest in between. Each set consisted of 2 exercises. The PAX would perform 12 reps of each exercise OYO, then 11 reps of each OYO, and so on until 5 minutes expired. At the end of each round, each person’s score would be the lowest number of reps that were successfully completed for both exercises. For example, if time expired while you were still working on 4 reps of exercise 2, your score for that round would be 5. Lowest score at the end of the Thang wins. 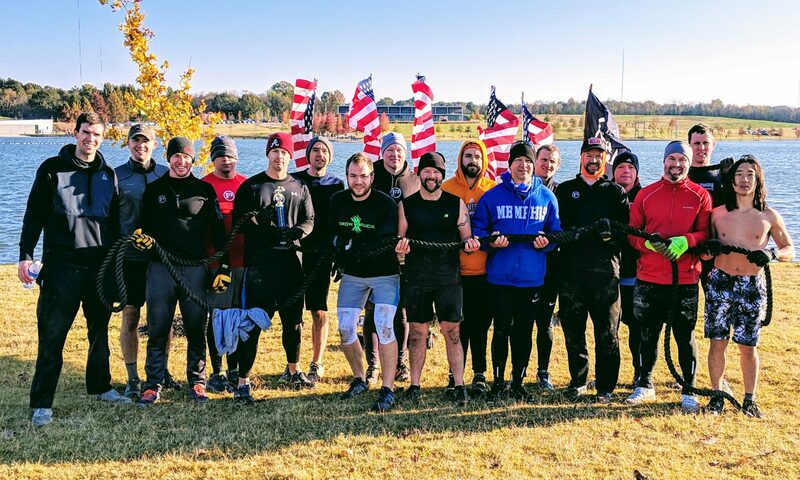 F3 is a brotherhood, and I’m very grateful for the unity we have. Unity does not require 100% agreement. Some of us root for the maroon team, others for the orange one. Some vote for the red team, others for the blue team. Some cook chili, others make some kind of bean concoction. But at the end of the day, I know the guy across the circle from me has my back whether or not our opinions differ on any given issue. This unity and brotherhood will be on display next Monday when Gus and Cheesesteak host a lunch with the “Statement on Social Justice and the Gospel” as the topic of discussion. What you will see if you attend is something that has become very rare these days: an honest debate over a weighty topic, yet free of personal attacks, misrepresentation, and general rancor. Try doing that on Facebook or the Tweeters. Every day in F3 brings me a new reminder of the special thing we have going here. More guys need this. Go get them. I’m willing to try wearing some at the next workout. Moles stay warm, right? QSource lunch 1130 Friday at East Memphis Whole Foods, topic is LDP. “Statement on Social Justice & the Gospel” lunch 1144 Monday at East Memphis Whole Foods. Read the statement here prior to arriving. Attendees at either lunch can get the WF salad bar, or if you want to save time just bring a salad from home and flush a $20 bill down the toilet to get the same effect.